Like many 10 year olds, Rishi spends as much time as possible on his iPad. Unlike many 10 year olds, however, he struggles to communicate and understand others because of his autism. 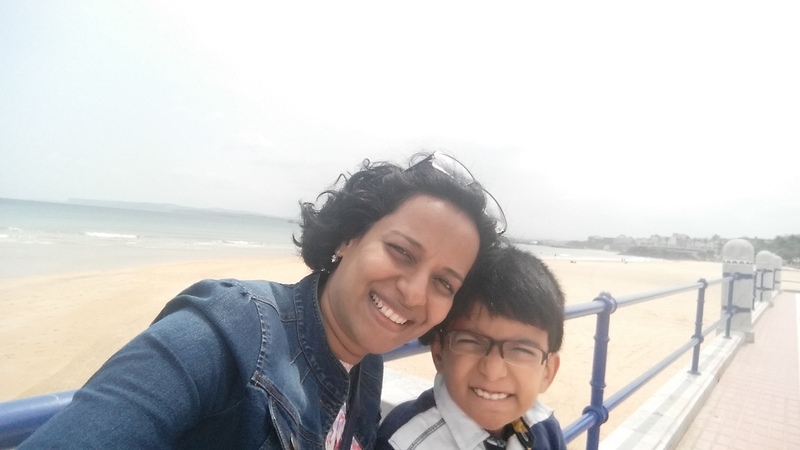 This is his story, as told by mum Ramya. Rishi is a very bright, gentle boy. But his world is very different to our world. His autism affects every aspect of his life – school, everyday activities, and life skills. One of the hardest things is the anxiety and exhaustion he feels from just being around people. It makes his world a very lonely place. Rishi lacks cognitive empathy. He can’t predict what other people are thinking and it’s hard for him to express his own feelings. His way of communicating is very unique and it makes interacting with people very difficult, for him and for the other person. He doesn’t have a perception of danger, so he needs to be accompanied when we are out. He loves taking his scooter on a walk to the local shops with me and his dad. The motivation being a rare treat of a bag of crisps! Rishi is hypersensitive to noise, light, and certain textures and tastes. He struggles with anything that’s busy and noisy like playgrounds, supermarkets, birthday parties and holidays. Everything is hard work for us as a family. He is the happiest when he is at home, in his comfort zone. Like any 10-year-old he wants to be on his iPad or in front of the TV as much as he is allowed. He loves to watch Britain’s top 40 music albums. Ed Sheeran is his favourite at the moment. Things that are routine for other families – like using public transport, shopping, or eating out – are an absolute luxury for us. Loud, unexpected noises can cause sensory overload and, worst of all, judgmental looks from people around us. But not everyone is judgmental. Like the time when our online grocery shopping arrived and Rishi, who’s interested in truck logos, ran out to take a photo. I didn’t know if I should stay with him or take the grocery inside. The delivery man quickly assessed the situation and reassured me that he would keep an eye on Rishi while I took the shopping in. He let Rishi run around the truck and take pictures and even let him sit in the driver’s seat. He treated us like fellow human beings and that made a huge difference. If disabled children are included in their communities, in local social and leisure activities, they are less likely to be isolated and victimised. But sadly, the majority of support and assistance for disabled people around the world is provided by family members. Disability is multi-dimensional, so a joined-up response is needed from the agencies that support families. Listening to us and working in partnership with us will lead to better outcomes. Families like ours are looking for allies in our struggle to experience true quality of life rather than a faceless bureaucracy or a rigid gatekeeper. Too often we are faced with a plethora of forms to fill in, or are left waiting for the so important referral letter, or are buried under the procedures and regulations. It’s too easy to get lost in this special needs maze. 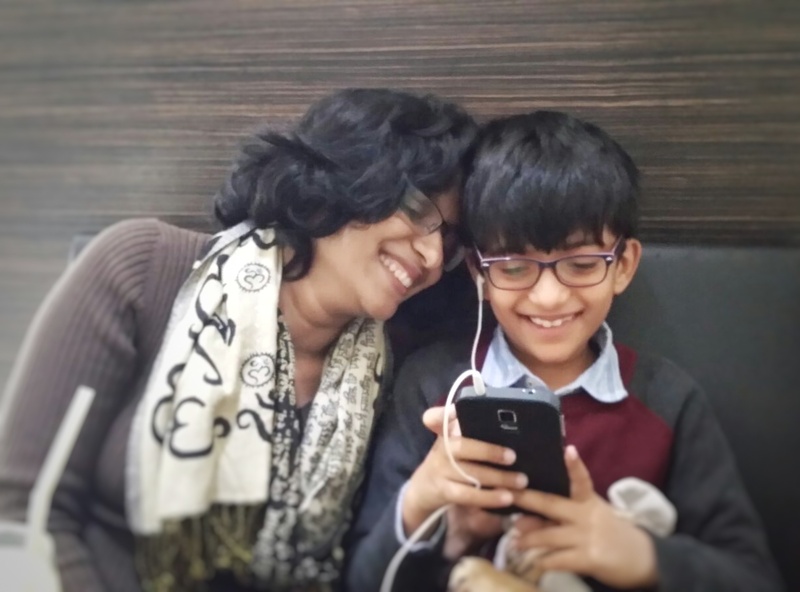 We live in a hope of finding someone who understands our daily battles and who can accompany us on our journey to where Rishi has a chance to flourish.